With rolling green hills and extensive woodlands, it’s easy to see why the Chiltern Hills are one of the most beautiful and well visited of all England’s natural wonders. Crossing five counties and covering 833 square kilometres, the Hills are home to a huge variety of habitats including chalk grasslands, scrub, river valleys, commons and farmland. This book will take the reader on a journey of the Chilterns, from its earliest settlers to today’s enthusiastic trekkers, exploring how the Hills have been shaped by their occupants and, in turn, how the Hills have shaped them. 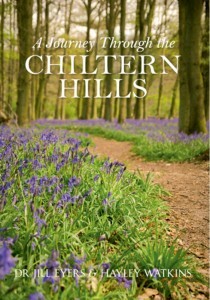 Exquisitely illustrated and expertly researched, A Journey Through The Chiltern Hills is a must-read for anyone interested in this beautiful and breathtaking area.